Once upon a time (Ok, literally just a few years ago), the thought of creating an online course was sheer fantasy. Only global brands and leaders in tech had the skills, money, and resources needed to create engaging content that students would love. Nowadays, though, creators have many easy-to-use, affordable choices! There are many platforms out there to help people like you discover how easy it is to build a course and sell it to students from around the globe. This is something that experts in many fields have profited from in recent years, and you can too. Click 4 Course, Teachable, and Thinkific are undeniably three of the best options on the market. But if you’re looking at the possibility of creating an online course, it’s imperative that you find the best solution for you. So how do the three major players stand up against one another, and which are the key elements that should point you to the right solution? If making money is the main motive of creating a course, both Teachable and Thinkific are exclusively geared towards selling online courses. They each have several tiers of service, with the higher packages costing more but offering reduced transaction fees. To utilize the very best features, however, you will be looking at monthly fees of $299 and $279 respectively. Even if you’re starting out small, anyone with long-term visions of needing advanced features should take this into account. Click 4 Course is a little different, offering two tiers of pricing packages that are separated in a different way. The platform splits into External (E-commerce) and Internal (Not Selling) courses. The former is designed for instructors that are geared towards internal staff training. This is plan also offers flexibility to companies who already have their own way to charge their learners for courses. That way, you can control the process on your side, while taking advantage of a plan that doesn’t take commission from your course sales. The E-commerce package comes under one tier with all the right tools, giving all designers full control. At $79, it’s affordable, and 10% transaction fees does also include any and all credit card transaction and processing fees. For a course to sell, it needs to attract potential students. Therefore, it’s absolutely vital that it offers some sort of reward to graduates of the course. Quite frankly, the self-satisfaction of knowing that they’ve gained a new skill isn’t enough. It needs to actively provide something tangible that will actively boost their careers or life in general. When using one of the three platforms mentioned, students will gain a certificate of completion. This in itself should be considered a major selling point. However, the way in which these are administered needs to be analyzed too. Click 4 Course allows you to create several awards depending on performance. You can also customize the certificates with different borders, graphics, course details, learner information, and completion dates. Thinkific follows a similar model but is arguably a little behind in some areas. Where it comes into its own, however, is the ability to provide materials in multiple languages. The Teachable platform may not stand out in the field of rewarding learners. What it does do, however, is allow you to administer refunds with minimal fuss. That can enable you to give learners a risk-free enrolment. Rewarding graduates is one thing, but the main focus of the creator is to produce the most engaging and accessible course on the market. If the content isn’t presented in the right way, students will struggle to gain anything from it. This is why the concept of creating courses was once reserved for a very select audience. Thankfully, each of the three platforms provides tools to make it easier than ever. Teachable uses a drag and drop design SCORM platform, so even those with minimal computer skills can achieve great things. This makes it very easy to edit generic content to turn a successful framework into your own personalized course. Meanwhile, the ability to use your own videos, PowerPoints, audio, and PDF files is matched by both Click 4 Course and Thinkific. Thinkific uses CSS and HTML coding, which can have benefits and drawbacks depending on your skills. On the plus side, it offers immense control for designers with advanced skills. This means that the learning portal can look however you desire. Conversely, though, those with limited skills are going to struggle to create anything spectacular. As for Click 4 Course, easy design tools also include the ability to organize courses. This means that learners can be forced into following a linear pathway as they build skills gradually. Meanwhile, courses can include downloadable content too. This makes it the perfect blend of easy to use design tools and uploading content that has been created by you. Click 4 Course might not have some of the more corporate-based features like SSO, SCORM, and multiple languages, however, it does offer a “less is more” approach for individuals and companies who are looking for a very easy-to-use system for the Administrators, as well as the learners, that they would like to launch quickly and with limited technical skills. Before providing learners with certificates and other tools to signify a job well done, you need to know that they’ve understood the content. After all, the qualifications alone count for very little unless they are supported by the educational benefits. For an online course, the ability to track and analyze a student’s progress is key, especially if they are buying your course for certification requirements or continuing education (CE) credits. All three of the major platforms allow you to add multiple Administrator who can all offer courses. As for the progress of individual learners, the questions used by Click 4 Course include multiple choice, multi-answer, true/false, and short answers. Teachable also offers basic quizzes. Thinkific uses pass/fail quizzes. 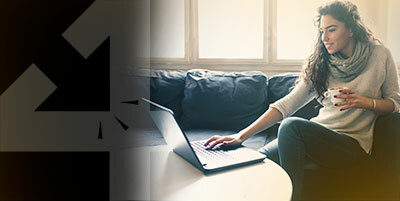 Click 4 Course offers several settings to a allow the Administrator to determine the passing score, randomize questions, set timers for the course, and even control whether or not a certificate is offered after the course, based on the test/quiz score. All three platforms have their own strengths, and are priced within a similar range. It really comes down to the complexity of features you need (Thinkific and Teachable) vs the simplicity and quick set-up (Click 4 Course) you are looking for in a service. Speaking of service, Click 4 Course offers unlimited phone and email support for all plans.